Franklin, Massachusetts based Eagle Stainless Tube & Fabrication, Inc. is celebrating its 36th year of operation serving customers in medical, aerospace and high tech manufacturing. With a record of on-time delivery, fair pricing, product quality and highly skilled employees dedicated to continuous improvement and training, Eagle has earned its reputation as a supplier of choice of off-the-shelf stainless steel products and fabricated stainless steel components. The ISO 13485 & ISO 9001 certifications have reinforced Eagle’s commitment to each and every customer to provide the ultimate in quality, service and reliability. ISO 9001 sets progressive standards that focus on customer satisfaction and continual improvement in addition to rigorous quality assurance. Eagle Stainless is meeting industry's need for stainless steel products with our extensive inventory, precision, cut-to-length tubing, custom fabricated components, custom shaped and sized tubing, and metric tubing. Eagle stocks both seamless and welded tubing. It is available in a size range of .008" to 24" O.D. , wall thickness of .003" to 1" and grades: T304 T304L T316 T316L T317L T321 T347 T410 T446 17-4 PH 17-7 PH and 16-6 PH. 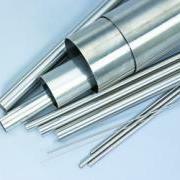 Aluminum tubing is available in T6061 6063 5052 2024 3003 and 5086. Nickel Alloys: 200 400 600 625 800H 825. If mill lengths are too long, Eagle will be glad to cut your order to more suitable lengths. Custom Shaped and Sized Stainless Steel Tubing is available in prototype to production quantities in a variety of alloys. Custom shaped tubing can be ordered in virtually any shape: Round Oval Square Rectangular Hexagonal or Special. Working on diameters from .008" to 24" we meet the needs of your most demanding application - bending, coiling, swaging, flaring, welding, machining. We do it all while exceeding required ASTM or MIL specifications. We have the desire and capability to do what others suppliers can't! Coiled tubing is used in many industries where it is used as a heat exchanger or for transporting gasses or liquids. Working on diameters ranging from .032″ to 1.00″ we have the expertise and innovative techniques necessary to meet the needs of your most demanding custom tubing application. 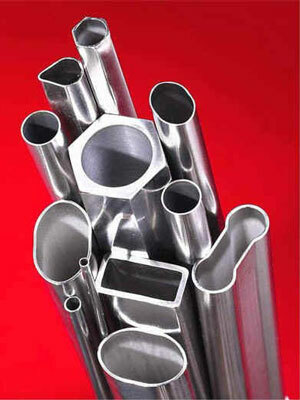 Fractional tubing is generally ordered to outside diameter (O.D.) and wall thickness. Although tubing has three dimensions (O.D., I.D. and wall thickness) only two may be specified with tolerances; the third is theoretical. 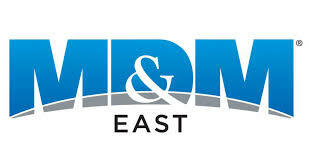 Updated Quality Management Certifications ISO 9001:2015 & ISO 13485:2016 Booth 1026 at MD&M East - #UBMEAST Welded, Welded & Drawn and Seamless Stainless Steel Tubing– Eagle Supplies Them All!